Heart disease is the leading cause of death in the U.S. today, and the leading cause of death for smokers as well. Cigarette smoking is directly linked to 30 percent of all heart disease deaths in the United States each year. Bottom line: Smoking is hard on the heart. Because cigarette smoking is so prevalent and destructive, it has been identified by the U.S. Surgeon General as the single most preventable cause of disease and premature death in the nation. Smoking increases the risk of cardiovascular disease (CVD}, peripheral vascular disease (PVD), and coronary heart disease (CHD). And, for people with a history of CHD, cigarette smoking is also a risk factor for sudden cardiac death. 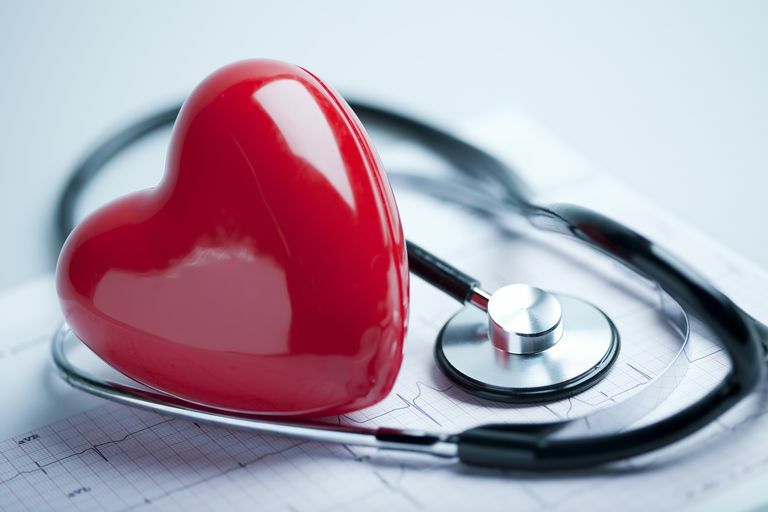 The risks to heart health that are associated with obesity include heart attacks, heart failure, CVD, and CHD, along with a whole host of other negative health effects. Choose a balanced diet that is low in saturated fat and high in lean protein, fruits, and vegetables, healthy oils and whole, unprocessed grains. Be good to your heart by maintaining the proper weight for your age and body type. As little as a half hour of exercise daily can protect your heart. Aerobic activities such as walking, running and swimming work the heart and help keep it robust. We all have busy schedules and hectic lifestyles, and fitting in a daily workout can be an overwhelming thought. However, it's important to remember that exercise doesn't have to be done all at once to be beneficial. Take a couple of short walks a day and use the stairs whenever possible. We can all fit in 10 minutes here and 15 minutes there to move our bodies if we make it a priority. Embrace the challenge and think of exercise as a gift, not a chore. And in a very real way, that's just what it is, a gift...for your heart. The toxins in tobacco smoke lower a person's high-density lipoprotein cholesterol (HDL or "good" cholesterol) while raising levels of low-density lipoprotein cholesterol (LDL or "bad" cholesterol). A high level of LDL in the blood is a significant risk factor for atherosclerosis, also known as hardening of the arteries. Other factors that influence cholesterol are genetics and eating a diet rich in saturated fats and trans fats. If it’s been a year or more since your last cholesterol check, call your doctor and schedule an appointment. If your cholesterol is high, there are steps you can take to control it. While at the doctor’s office getting your cholesterol checked, have your blood pressure checked also. Maintaining a healthy blood pressure reduces the risk of heart attack, stroke and heart failure. High blood pressure is considered to be anything over 140 for systolic blood pressure and 90 for diastolic blood pressure. If yours is high, take it seriously and follow your doctor’s recommendations. When you quit smoking, other risk factors for heart disease will be diminished as well. Smokers usually exercise less, especially as they get older and lung function becomes impaired. That inactivity in turn often leads to weight gain. Cigarette smoke also increases bad cholesterol, and while smoking won't cause high blood pressure, if a smoker has hypertension, smoking can increase the risk of malignant hypertension, a dangerous form of high blood pressure. If you’re still smoking, I urge you to make the commitment to quit now. Every cigarette smoked causes additional stress and damage to your body. And it won’t get any easier to stop the longer you wait. I spent years fervently wishing I could find the right combination of motivation and guts to leave smoking behind for good. One important lesson I learned was this: For a nicotine addict, there is no “ideal” time to quit. Don’t believe the fallacy that you’ll stop smoking “when you’re ready.” You could die waiting for that day to come. The truth is, addiction creates a fear of quitting that is hard to overcome, regardless of when we decide to stop smoking. But overcome it you can, as long as you take that all important first step and put the cigarettes down. From there, you'll find that with support, education, and the patience to work your quit program one simple day at a time, you can defeat that fear and conquer nicotine addiction...once and for all. 1. "The Health Consequences of Smoking: A Report of the Surgeon General.". 2004. National Center For Chronic Disease Prevention and Health Promotion. 2004. U.S. Department of Health and Human Services, Centers for Disease Control and Prevention, National Center for Chronic Disease Prevention and Health Promotion, Office on Smoking and Health. 2. "Health Effects of Smoking - Fact Sheet.". December 2006. Centers for Disease Control. Can Marijuana Helps Alcoholics Taper Off Drinking?